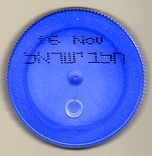 Charedi Milk carton. 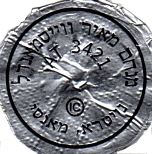 The Hebrew overprint reads: חלב ישראל. 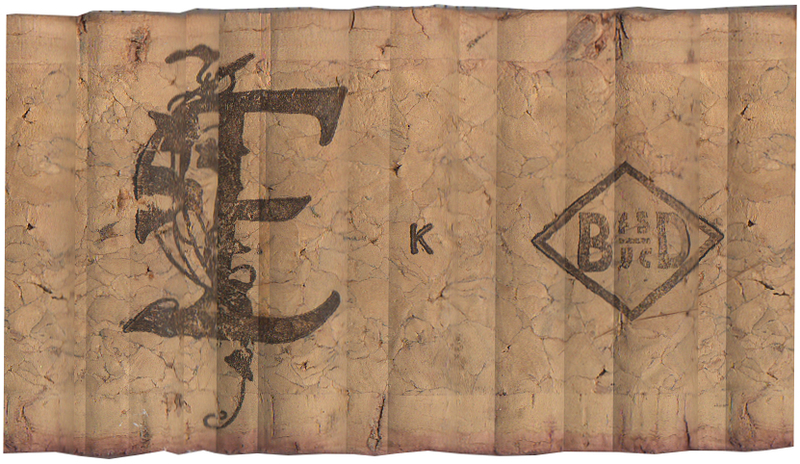 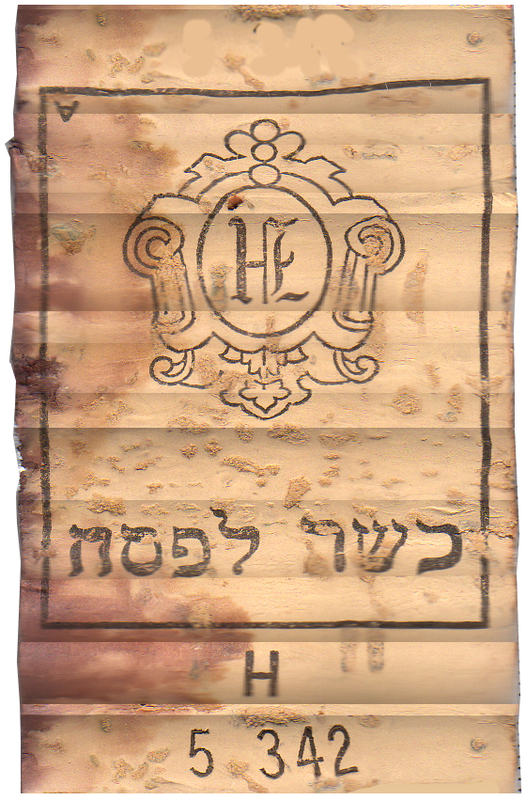 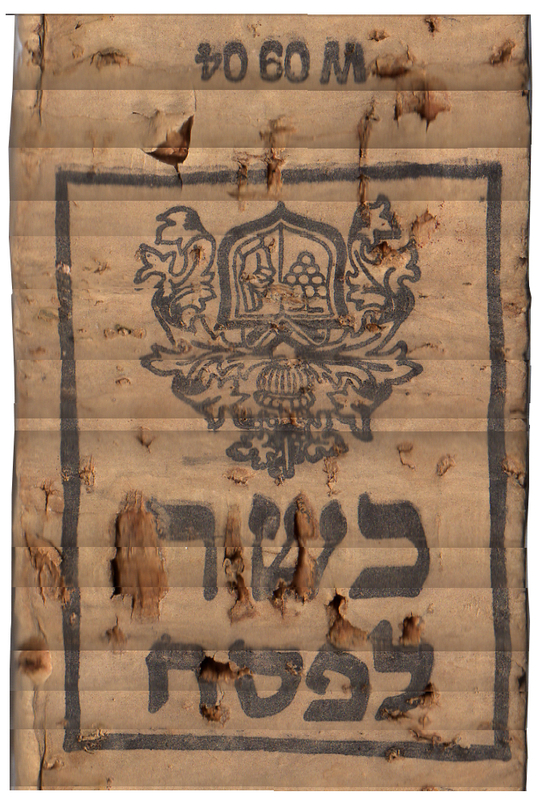 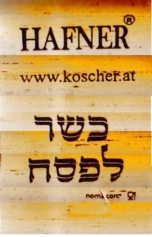 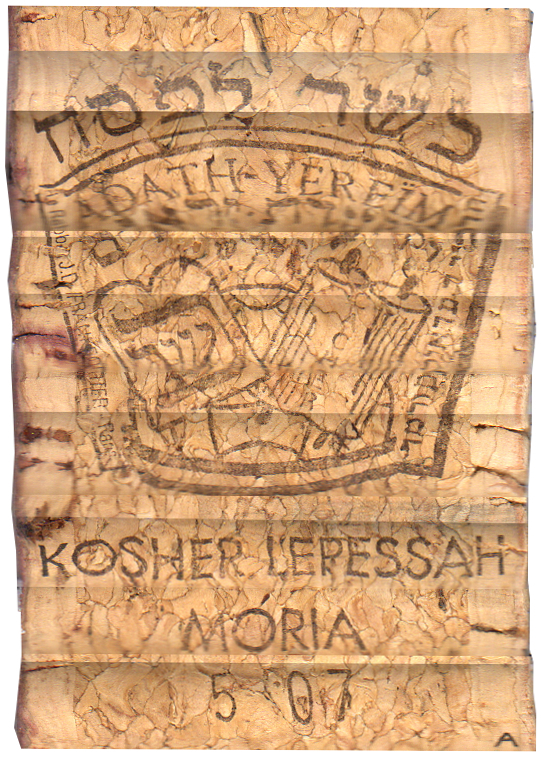 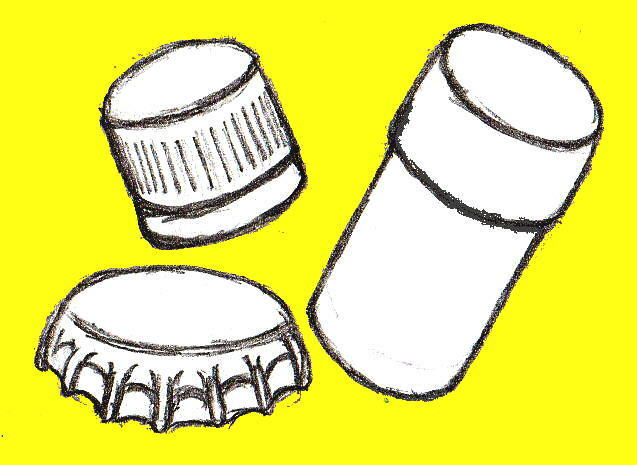 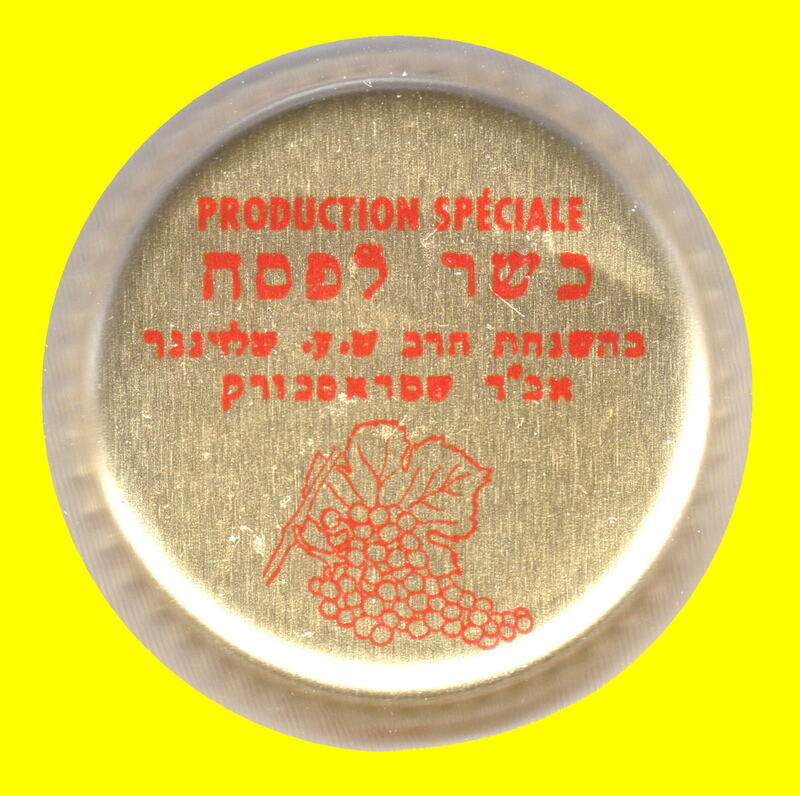 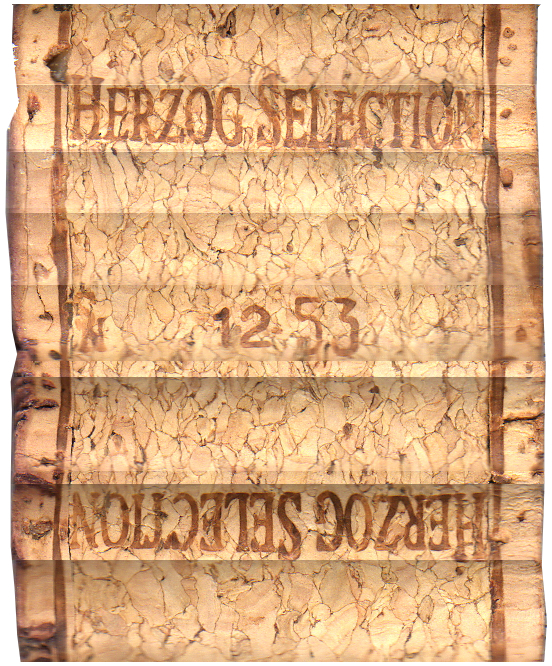 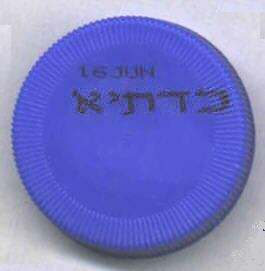 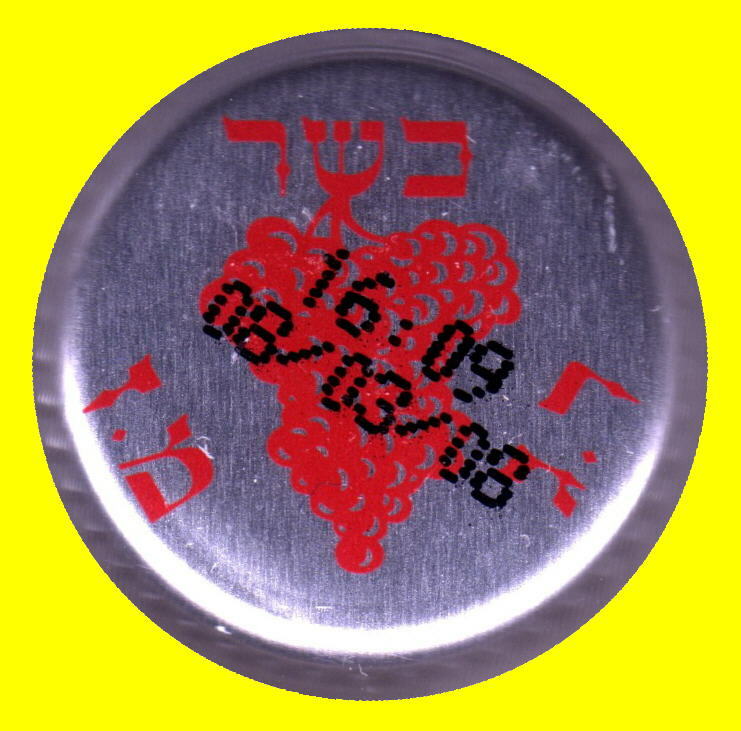 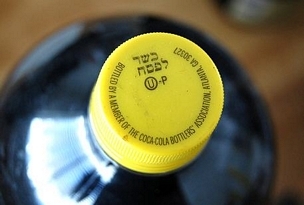 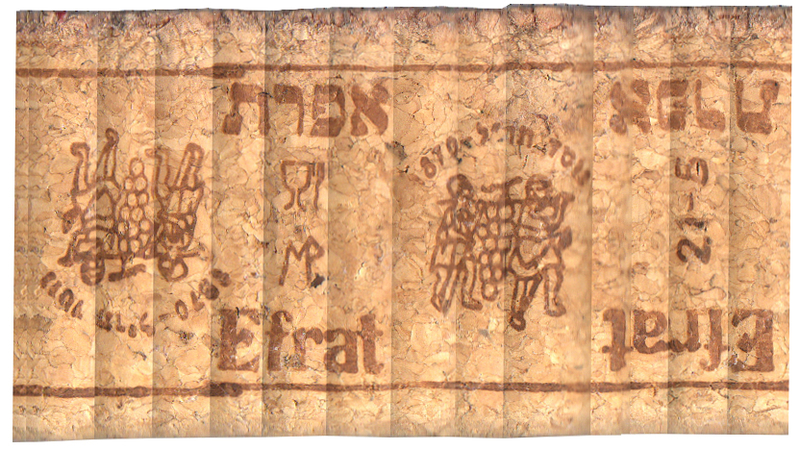 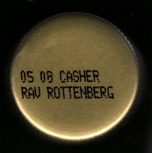 The carton main label bears the hechshers of the London Beth Din and of Kedassia. 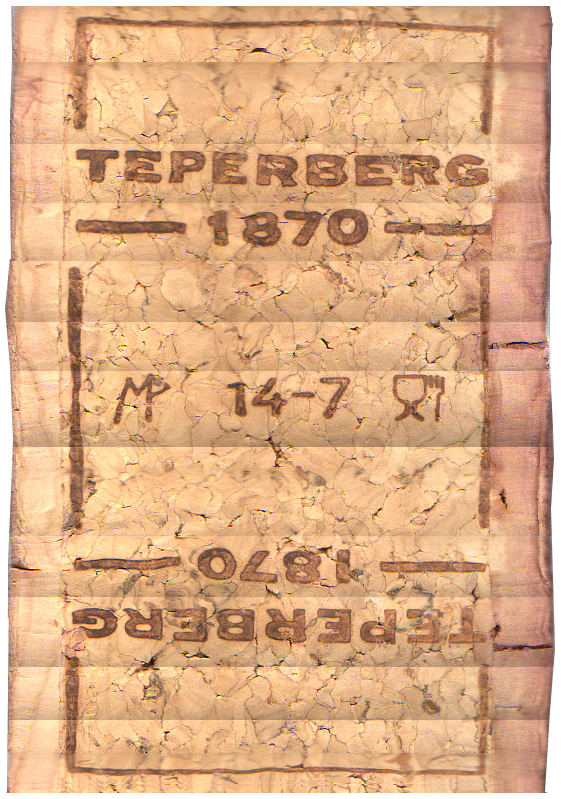 SOURCE: photograph by Mark H. Anbinder. 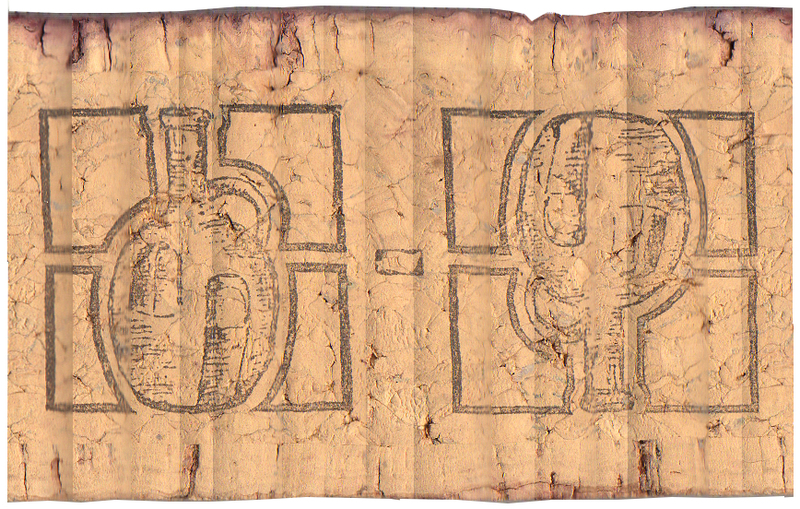 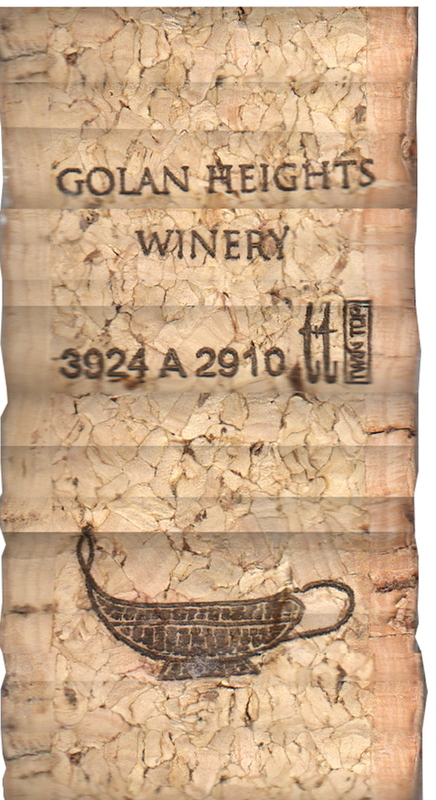 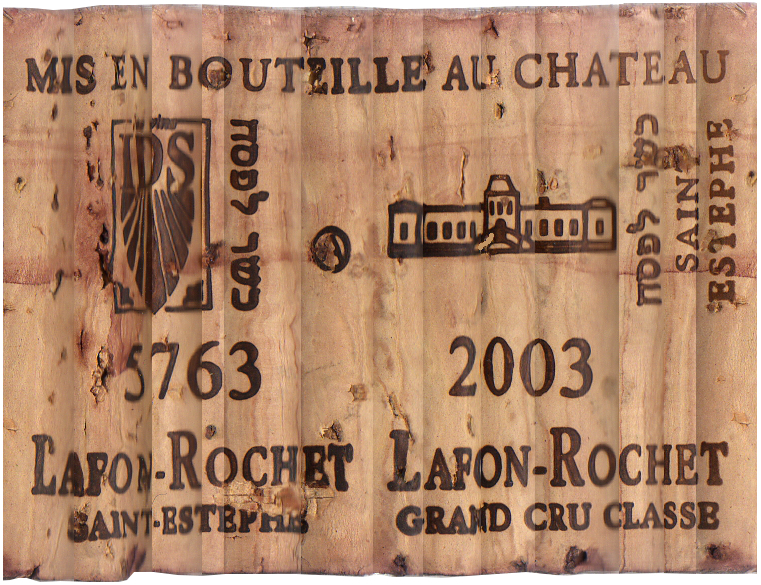 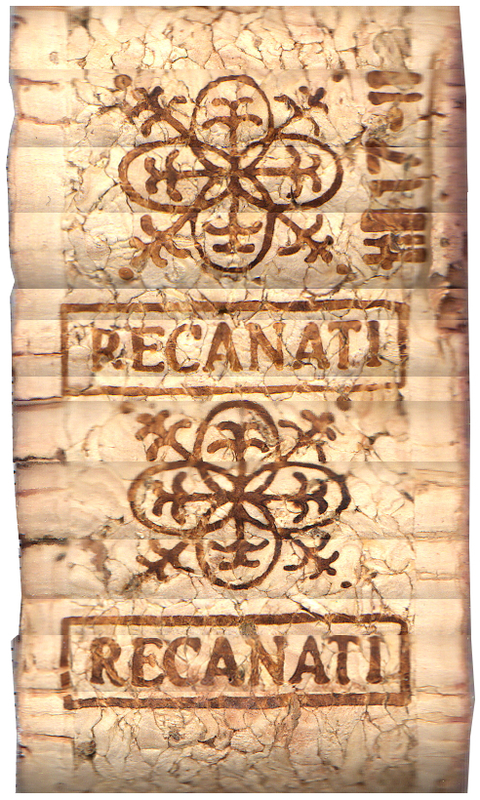 The images below have been obtained by scanning wine corks, both natural and synthetic, on a flatbed scanner and then assembling each composite image from about 15 individual image slices. 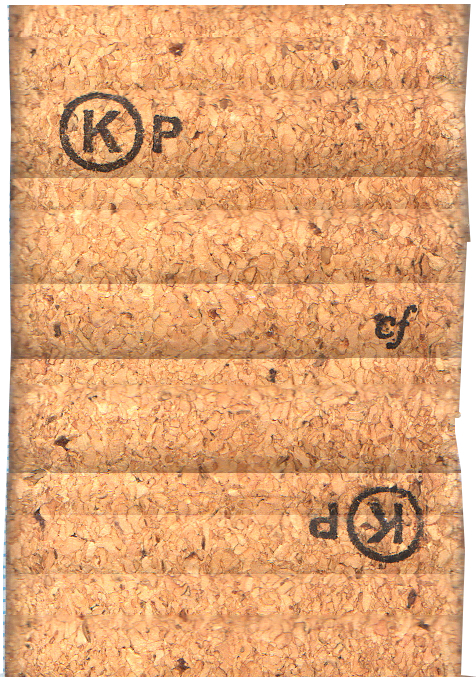 The images show regions of banding; scanning a cylindrical surface on a flat platen results in distortions due to the angle of illumination and the very shallow depth of field of the scanner. 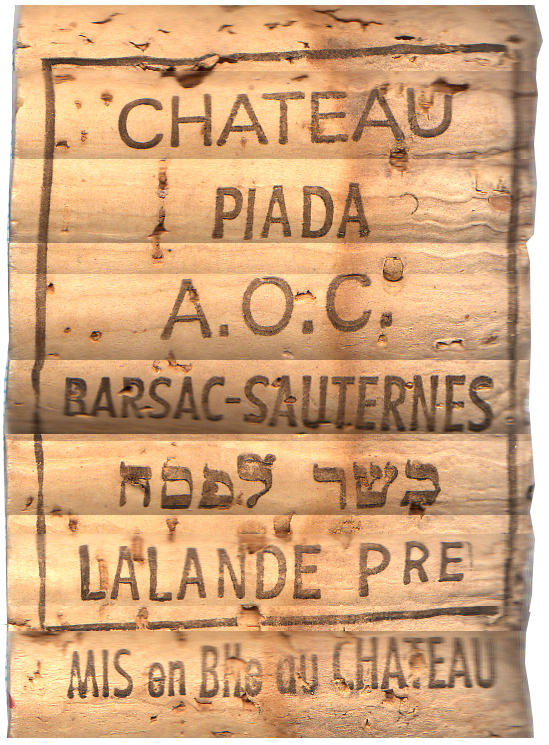 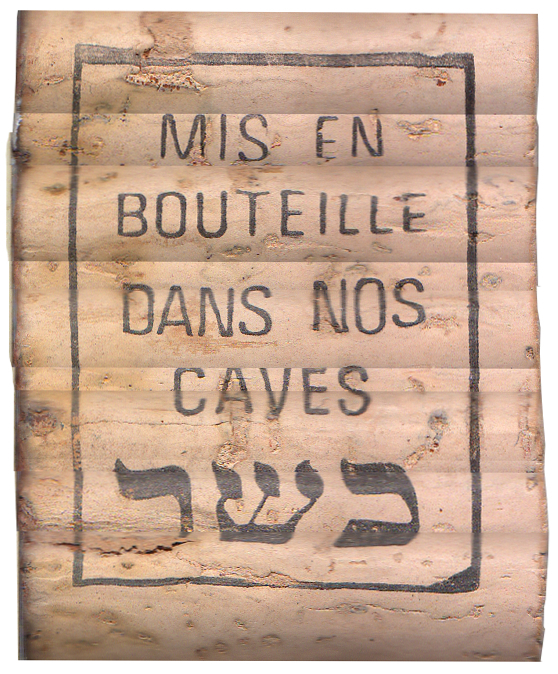 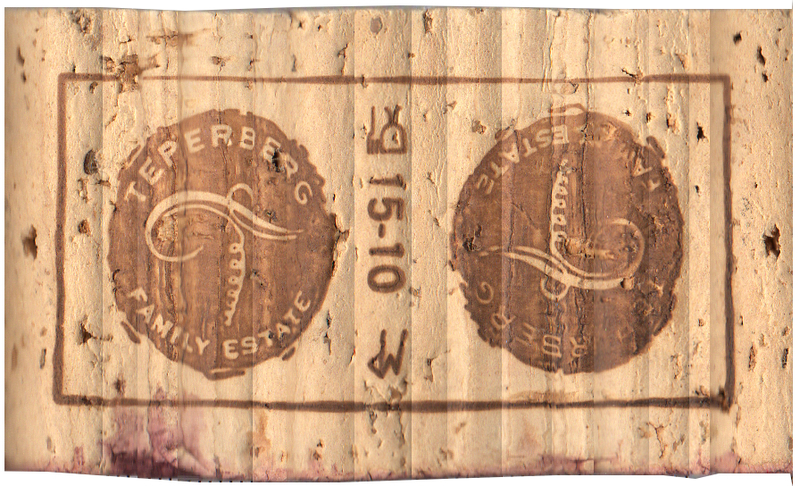 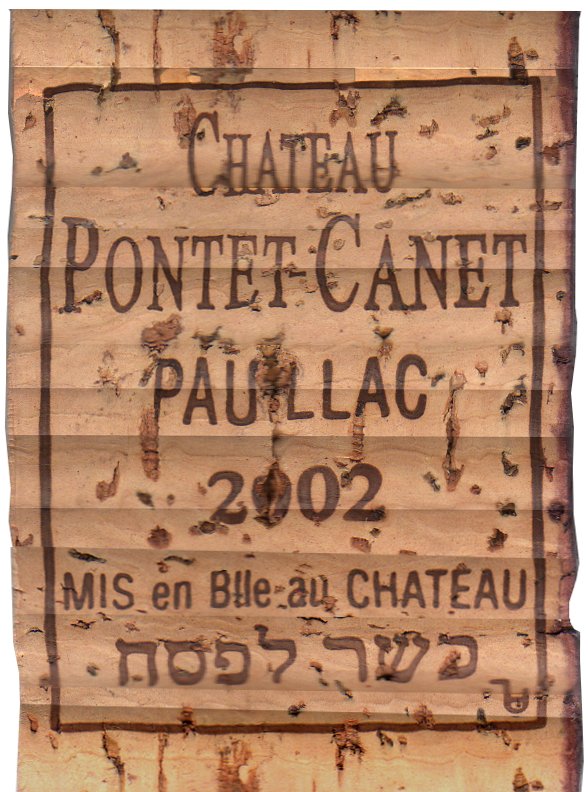 Most of the corks shown below are from bottles of kosher wine purchased from the Wine Cellar in Stamford Hill, London N16. 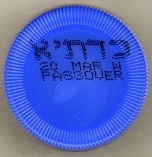 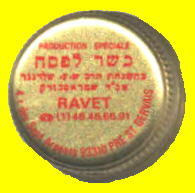 Kosher for Passover and throughout the year. 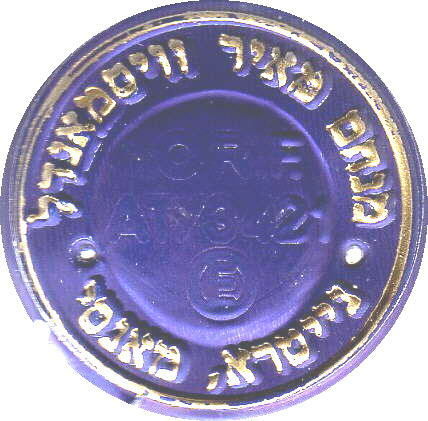 Supervision: (1)Rabbi Eliezer Simcha Weiss from Kfar Haroeh-Emek (Chief Rabbinate), (2)Orthodox Union (OU). 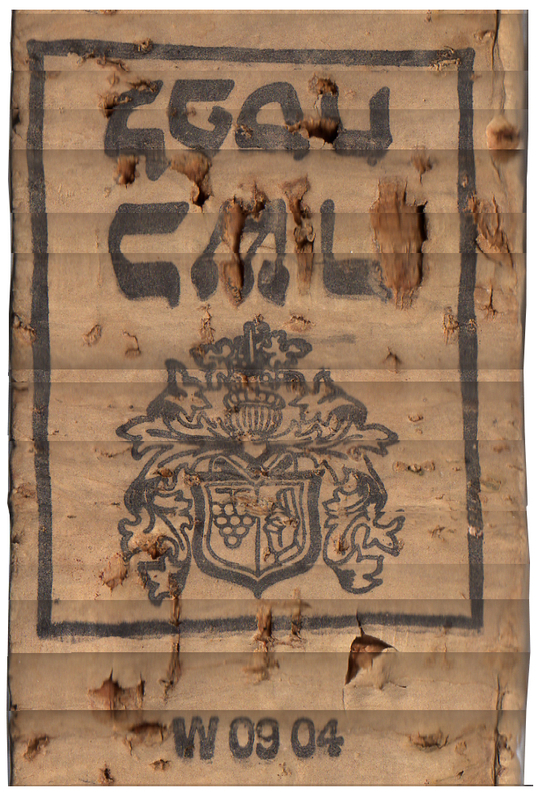 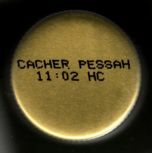 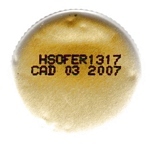 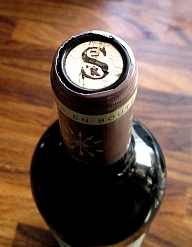 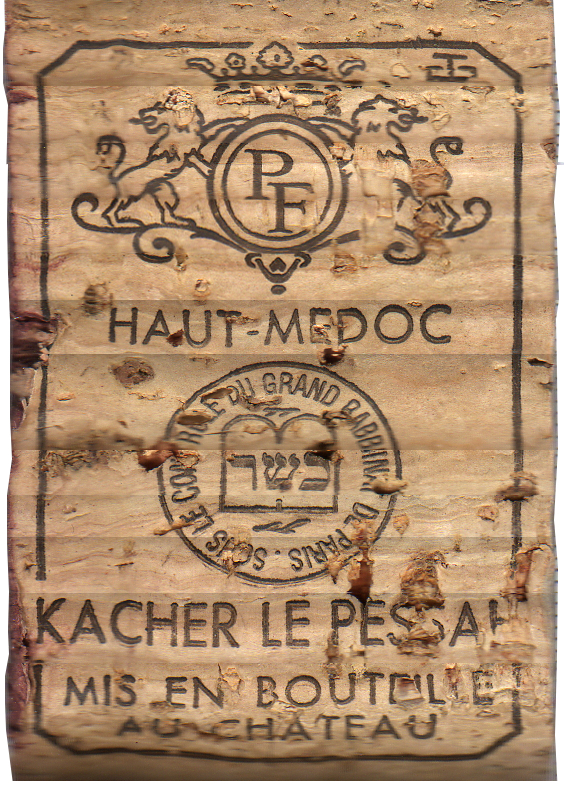 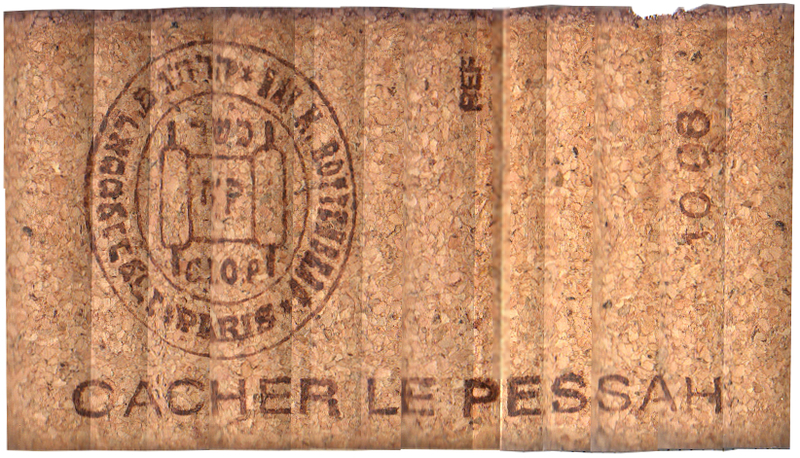 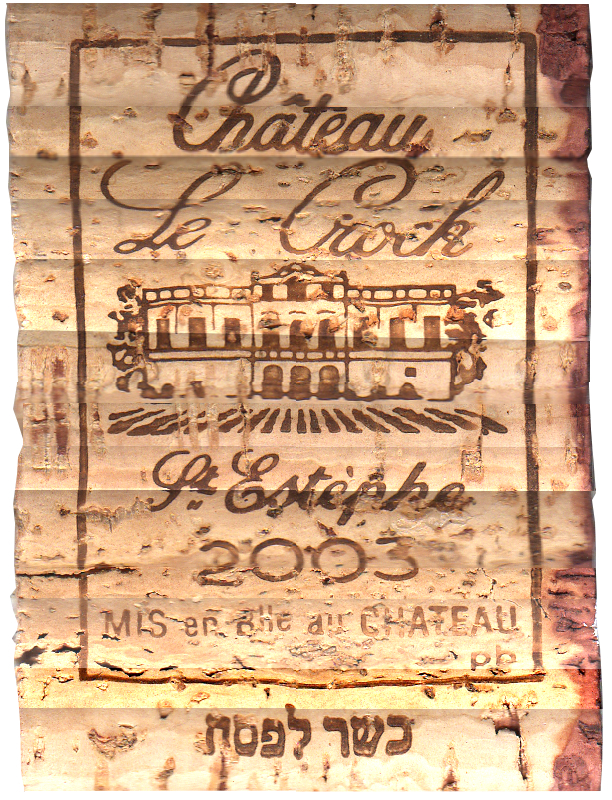 Unusually, this cork has a hechsher printed on both its ends. 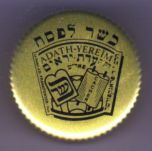 Authority: Rabbi Mordechai Seckbach, Av Beis Din Strasbourg, France.